The month of March recognizes Patient Safety Awareness Week, National Kick Butts Day, and National Doctors Day. Patient safety is a public health issue. According to the National Patient Safety Foundation (NPSF), most people in the US are likely to experience a missed, delayed, or wrong diagnosis in their lifetime. Research suggests that as many as 440,000 patients die each year as a result of preventable medical harm, and that many others suffer significant and lasting morbidity, and quality-of-life implications. Given this evidence, NPSF advocates for addressing patient safety as a serious public health concern. United for Patient Safety is an ongoing NPSF education campaign that works to bring together diverse organizations with a commitment to patient safety and the general public to learn more about the topic, start important dialogue, and take action for improved safety conditions. As part of this campaign, Patient Safety Awareness Week—observed March 10-16, 2019—serves as a dedicated platform for growing awareness about patient safety. NPSF encourages patients, families, and health care consumers to be active members of their health care teams and share their concerns about patient safety. For more information, visit UnitedforPatientSafety.org. On March 20, thousands of youth across the United States will stand out and speak up against Big Tobacco. 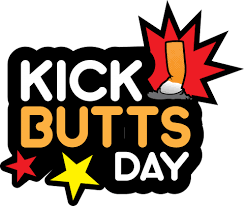 Kick Butts Day—organized by the Campaign for Tobacco-Free Kids—raises awareness of the problem of tobacco use in our communities. Every day, more than 3,000 kids under 18 try smoking for the first time and 700 kids become new regular, daily smokers. Tobacco use is still the leading cause of preventable death in the US, killing more than 480,000 people every year. By getting involved in Kick Butts Day and other activities, America’s youth can raise awareness about the tobacco problem, encourage their friends to be tobacco-free, and urge elected officials to take action to protect kids from tobacco. For more information, visit KickButtsDay. National Doctors Day is held every year on March 30 in the United States to recognize and celebrate the contributions of physicians to individual lives and communities. The annual event was first celebrated March 30, 1933, when Eudora Brown Almond, wife of Dr. Charles B. Almond, set a day aside to honor physicians. The date chosen was the anniversary of the first use of general anesthesia for surgery in 1842. 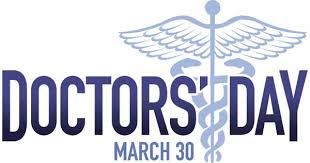 From those beginnings, the celebration spread, and the House and Senate officially declared March 30 “National Doctors Day” in 1990. As of 2013, there were more than 1 million active physicians licensed to practice in the US. There are many ways you can participate in Doctors Day: thank your personal doctor, reach out to one you don’t know, email a message of gratitude, deliver a card, or send flowers. You might also leave something on a deceased doctor’s grave, such as a red carnation, commonly associated with National Doctors Day.